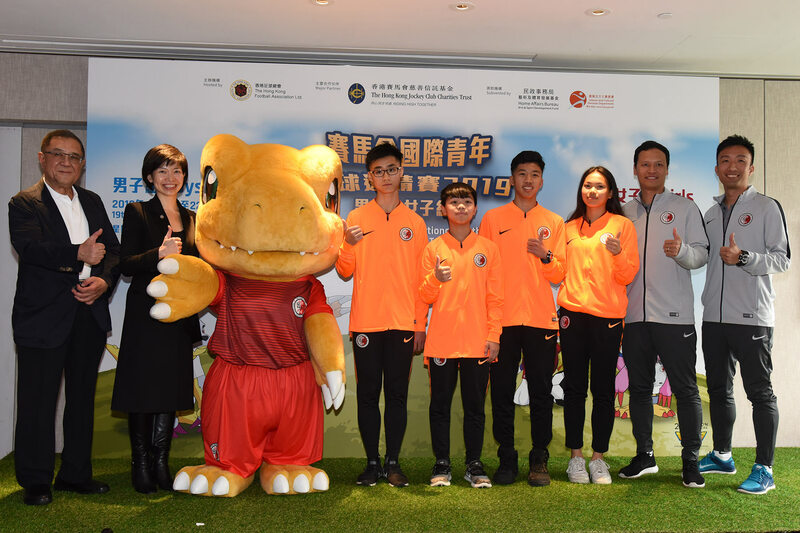 The Hong Kong Football Association will be holding some international soccer tournaments soon, at which a few Digimon characters will be the mascots. 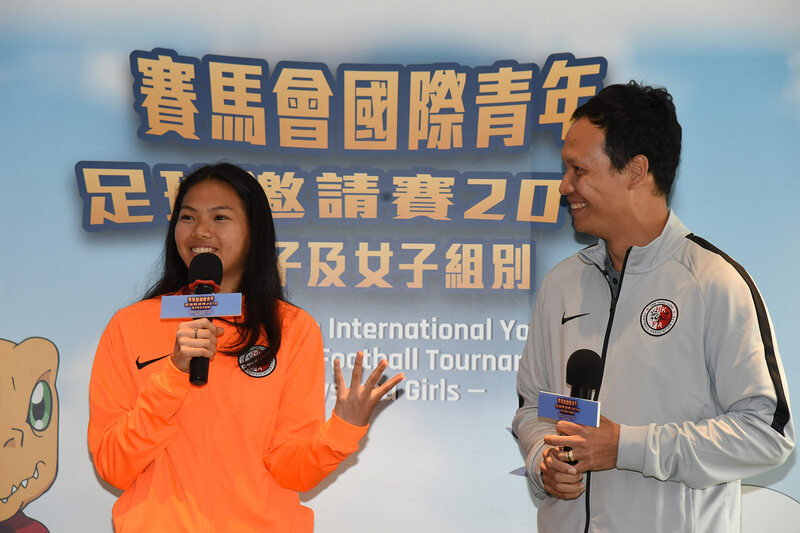 The first tournament, Jockey Club Girls’ International Youth Invitational Football Tournament 2019, will be held March 28th thru the 30, while the second, Jockey Club International Youth Invitational Football Tournament 2019, will be held April 19 thru the 22nd. 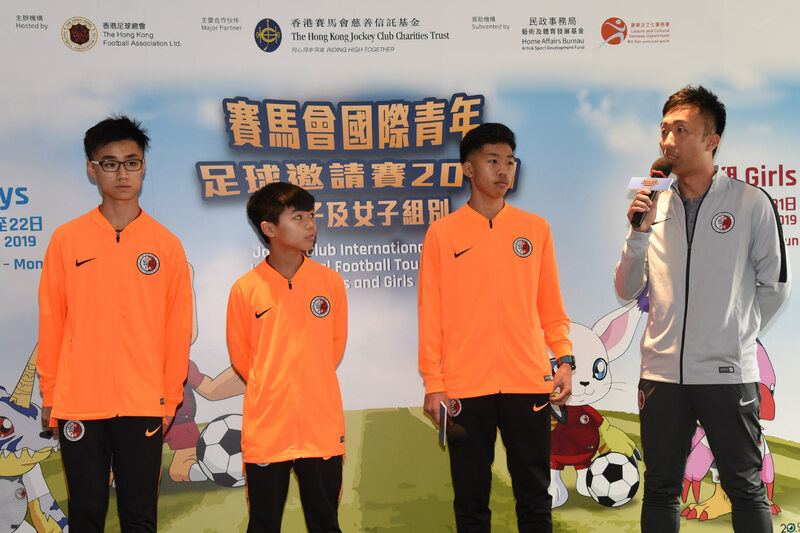 Tournament matches will take place in Hong Kong and neighboring countries. At a press event going over the tournament details, Agumon, Gabumon, Piyomon, and Tailmon were announced as mascots and artwork was shown featuring them wearing various jerseys for the tournament. Also, perhaps explaining his absence at Anime Japan 2019, Agumon himself was there in a custom made jersey to take part in the announcement. 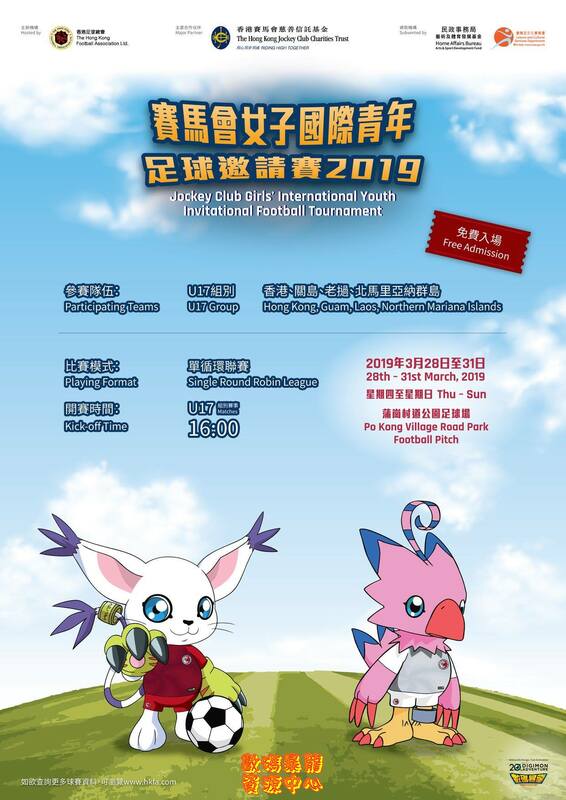 In addition we have a flier for the Jockey Club Girls’ International Youth Invitational Football Tournament 2019, showing off the artwork of Tailmon and Piyomon. The artwork generally looks like altered prior art, and hopefully we get clean art of Agumon and Gabumon soon, but from what we can see, it's the same with them. 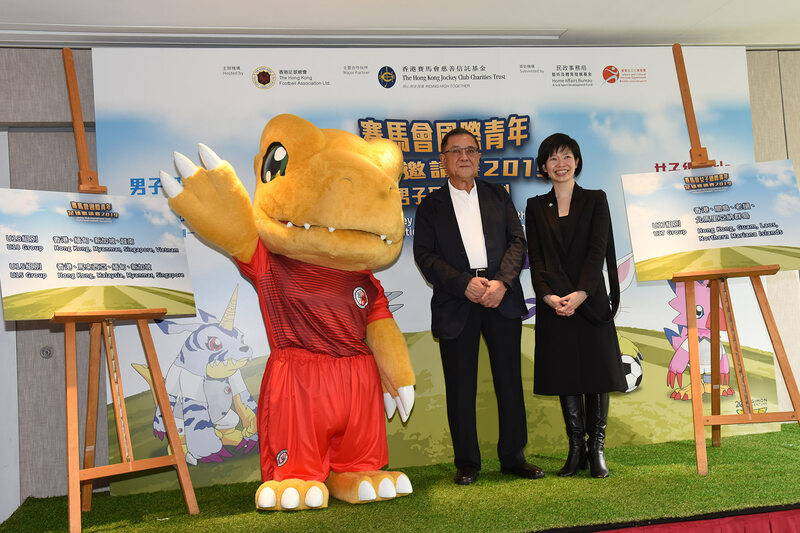 Thanks to the Hong Kong Football Association, digimonworldhk, and Mingpao for the info. I used to be moderately into soccer as a kid so I find this kinda cute, even if the art edits are minimal. Kinda weird pick digimon as a mascot from my perspective. It really feels like marketing move to try and expand the audience. They probably want to use two female Digimon for the Jockey Club Girls’ International Youth. I guess Palmon would have been a weider choice.